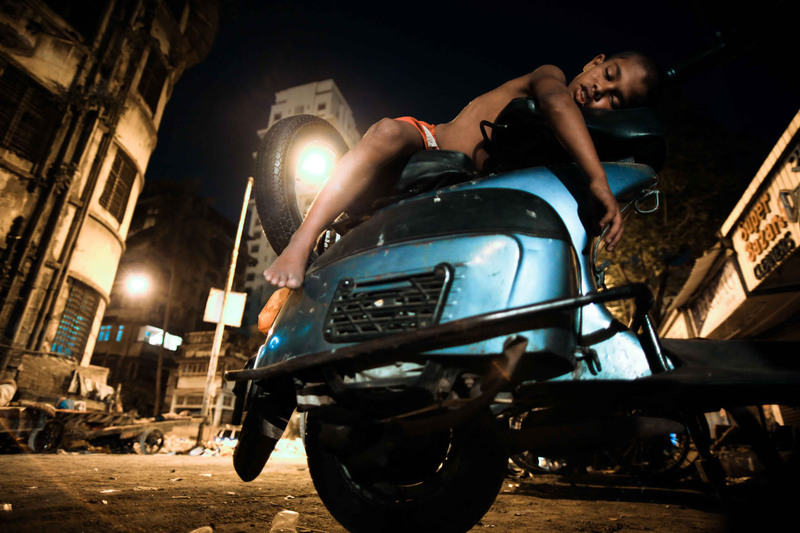 Dhruv Dhawan, spent three years roaming the streets of Mumbai capturing portraits of the unconscious while documenting a phenomena of urbanization where space has become so scarce that private acts are conducted in public. Mumbai is India’s most affluent city and one of the most densely populated metropolises in the world. Each day thousands flock to its shores in search of the urban dream and end up sleeping on the streets. 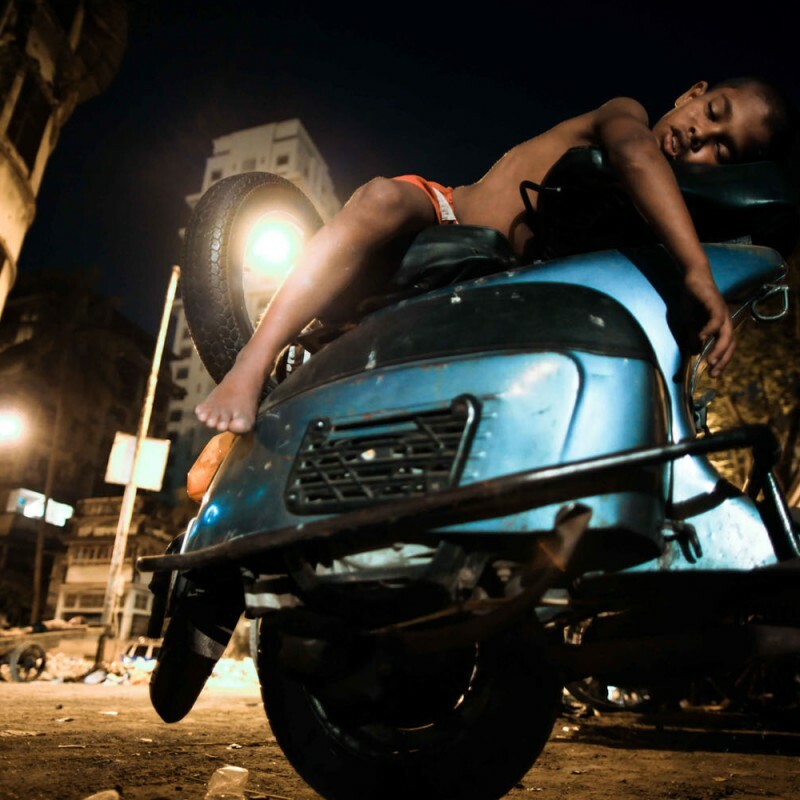 Critically acclaimed filmmaker and photographer, Dhruv Dhawan, spent three years roaming the streets of Mumbai capturing portraits of the unconscious while documenting a phenomena of urbanization where space has become so scarce that private acts are conducted in public. Combining digital photography with black and white film, the Mumbai Sleeping collection is a testament to the resilience of the lower class urban population who expose the diversity of a basic human experience, forcing us to question whether a good night’s sleep is a luxury or necessity.